I’m so, so excited to be back to blogging about my plant-based eats, exercise and adventures. July 5, 2014- I hit 1 year of being vegan! I couldn’t be more happy to be where I’m at today and so grateful for the support that has gotten me here. I am overjoyed to have found veganism and to have been introduced to a plant-based community where it seems that each and every person is just as passionate as I am, with their own unique story for reaching the plant-based lifestyle they’re at today. Upon arrival home, I began working as a marketing intern for a holistic wellness center on my area, called The Wellness Center, that has allowed me to dive into the marketing of a brand new company with an intention that is more than I could have ever hoped for. At this all-encompassing wellness center, the idea is to treat the client as a whole person, from the mental therapy aspect to massage therapy to acupuncture to nutrition and fitness. Right up my alley, huh? “Headache? Take some of this. Common cold? Try these pills. Stomach ache? Take this syrup. High cholesterol? Take this everyday. Arthritis? Take two of these daily. Heart disease? Inject yourself with this 3x daily. That should take care of it. For now. Our country has spiraled into a medical crisis, relying on artificial, chemically derived substances to maintain our everyday lives. Americans have mindlessly short-changed themselves by falling dependent on these modern day conveniences and not taking matters into their own hands. As technology has advanced and made our lives more convenient, we have become sedentary as a people, only doing and consuming what is easiest. Because of this, we are now experiencing illnesses that did not even exist 50 or 100 years ago. Think there may be some type of possible correlation? Bingo. No fear though. 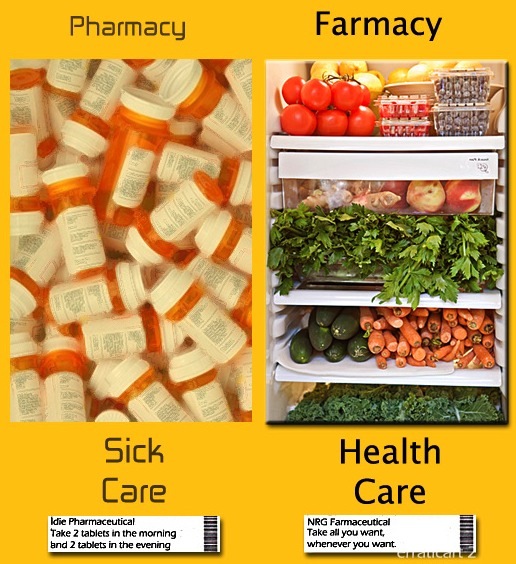 As the the medical industry is a business run by supply and demand, they have met this need with new drugs for these conditions, allowing the public to believe that any of these ‘sicknesses’ they fall victim to are cured with some type of medication. This pattern that will only continue and worsen with time. We have lost touch with the most crucial element to our well-being—nutrition. The American people have been trained to have a reactive perspective and approach to health and medicine. The idea that nothing should be done unless there is something wrong (don’t fix it unless it’s broken) is exactly what has led us to the obesity, cancer, diabetes and heart disease epidemic we have reached today. Our bodies are self-healing. All our bodies’ need is the right fuel to allow the internal workings to take place. It is our job as ‘managers’ of our bodies to allow this to happen. Your fate is in YOUR hands. If we come to believe that we are victims of circumstance, we are doing ourselves a grave disfavor. 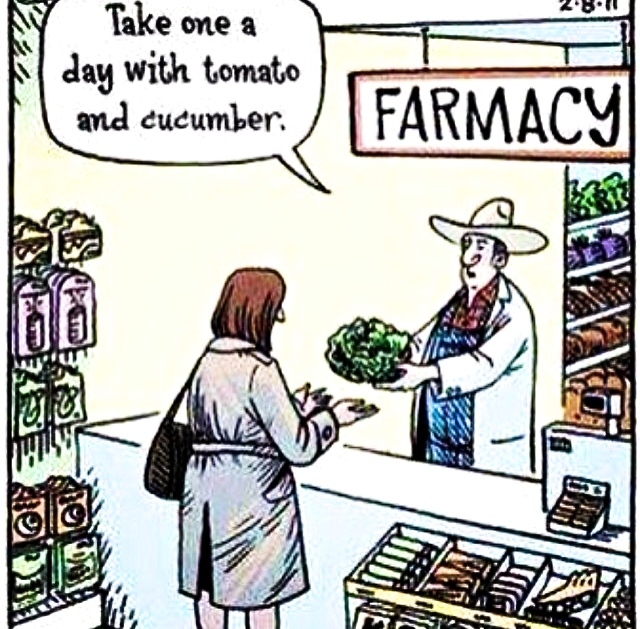 The idea of a Farmacy vs. Pharmacy is to realize the benefits of proactive care and self-healing through wholesome and nutritious food consumption instead of being dependent on artificial substances that create misery and medical bills out the wazoo. 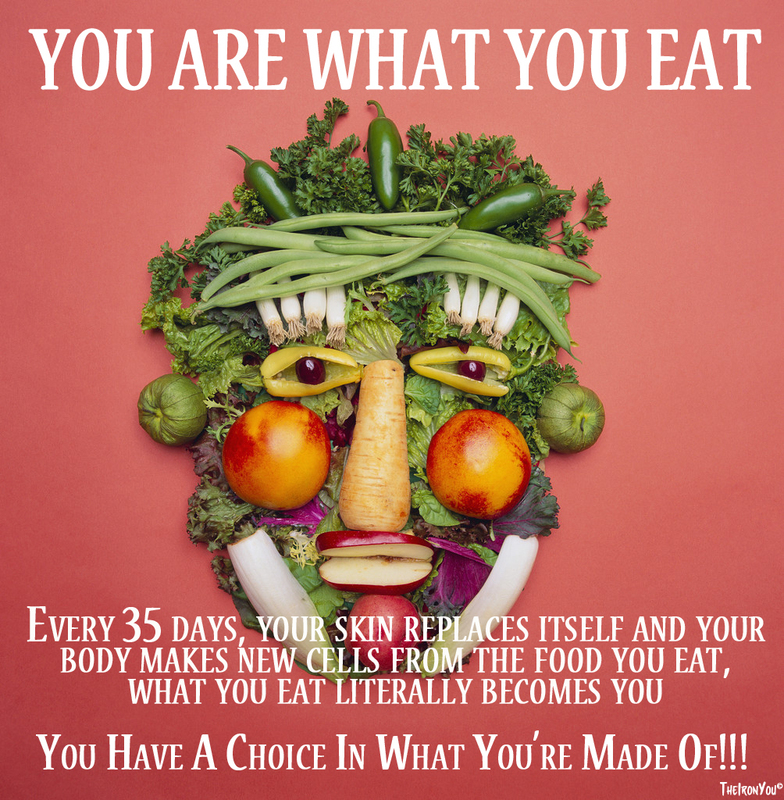 It is the realization that what you eat affects a whole lot more than people realize. Next time there is a diagnosis of some sort, check out what the person is consuming first and foremost—most likely the root of the problem. The research is there. See you all very soon! Chow!